Like I read earlier, on Valentine's Day the only thing that matters are your OTPs, so if you don't have a date, don't despair! Here's a lovely feature of Ron and Hermione being mushy for you! Don't forget we love you! Pinned post: This year has been hard for the group because it became really obvious that the HP frenzy has settled down. Our once very active group now barely gets any comments and contest entries, which led me to stop fighting for a Super group upgrade after the last one expired. You know, I love this group with all my heart, and I don't think I'll ever close it. If we ever reached the point where there are zero submissions per month, then I guess dA will have to force me to shut it down! Still, I've decided to quit the contests. Our last one barely got four entries, and the vote count was also really low. It stresses me because I put time and thought into them, and I tend to take things too personal, when I know it's something that happens in most HP groups here at dA. So, how do we go from here? Same as always, just no contests. In the future, I might consider throwing mini-challenges or putting up suggestions for the ones who are interested, just not with prizes and stuff. This year there was the HP Shipweek trend going on, and it broke my heart that it was more widespread on Tumblr than here (I seriously hate Tumblr). Maybe next year we can bring it in here in the group, too? In the About us section, below the GCard, you will now find an improved 'guide' to the group. First you have some Frequently Asked Questions about our purpose, why should you join and how to affiliate. After that, you'll find a mini map of the site that indicates everything that you can find in each section of the group. And below, there are some useful links! Either you're an old member or a new fellow, go and check this! [COMMON QUERY] Can I submit HP memes?? There's a certain popular HP meme, and I've got some requests to submit them. I know that you do it because it includes Ron and Hermione, but still: the rules clearly say we don't accept memes! Unless it's an only Ron and Hermione meme that involves some very nice drawings of yours, please don't submit it. [COMMON QUERY] Can I submit other people's artwork to the gallery? While I love our members' mutual support, I can't have over 50 submissions per day for other people's work. That is, if you want somebody's artwork to be submitted to the group, submit it, but not their whole gallery. It's a pain not only for me, but also for the artists. Some of them were active in the past, but currently may not get on dA as often, and so it might get annoying for them to have hundreds of notifications claiming for their work to be featured here and there every time they log in. If you want somebody to submit all of their RHr goodness here, contact them and convince them to join. Nothing would make me happier! However, I rather accept new works, which need some promotion, instead of dealing with things that won't be accepted by the artists. [COMMON QUERY] Why are you rejecting my wallpapers and graphics?? Our rules say that the use of copyrighted images is not allowed in your submissions to this group. Which means that using pics from the movies goes against the dA rules (read more here). Then why other groups accept it, can't we just skip that rule if nobody ever notices? 1) I don't want the group to be deleted only because of a couple of submissions. 2) I don't want your account to be deleted. As a personal advice, I would say that, if you want to share your HP graphics, submit them to your account only, but don't submit to groups, no matter their rules referring to that. By spreading it, you only make it more noticeable, and while this is the reason for which dA exists, infringments will be easier to notice. Keep sending your favourite Ron/Hermione quotes from the books or the movies so I can add them here. And I totally understand, because it's happened to me, too, not having enough time or inspiration or whatever. But I hope you do get some time to put those ideas on paper and show us! I personally think that once the Fantastic Beasts movie comes around the fandom is going to come back full force. and i'm going to miss the contests. Sorry, I checked. My bad. I apologize for implying that I did. Yay! i'm starting it today though i have barely anything in mind for what to draw. can I ask for something please? could the "Happy Birthday Ron" journal be an entire separate journal, instead of a recycled one? please? I would like to re-visit the birthday gifts. so can this be a separate journal- please? Ooh, I'm sorry, but no! :/ I don't like to make new journals for every little thing so it's more organized and people won't get lost. It's true that older comments get lost, though, but... generally because it's old news! Long live King Ron! And of course happy birthday to him ! IGNORE MY OTHER COMMENT, READ THIS ONE INSTEAD! so um-- mine entry is not exactly AU as the only thing different is that sirius survived the veil. can I leave that in, or is it going to work against me in the contest? because if it's going to work against me, I can change it to Lupin or something. does mine count as missing moment then? the old rules didn't said anything about no au! i dont want to get disqualified. I worked hard on my entry. Yaaaaaaaaaaay~ happy birthday to the best group supporting the best pairing ever! Sadly, I don't have any points. Aw, don't worry about it! I'm sleeping next to my laptop so I can refresh the page anytime I wake up in the night. I'm thinking maybe the first clue will be released at 6:00am London time, which would be in approximately 12minutes, but I'm just making a hopeful guess! I'm studying, so I'll stay up until then, haha! Midnight whatever time anyone's in is the new word. But it's past midnight in the US, in the UK... even where I am! NOW it says 12 noon London time. gahhh so many theories, I'm terrified as to what this question may be! I've reread the Diagon Alley chapter already! MAN I AM DYING TO GET IN. Haha, I was thinking maybe it's when all the countries in the world at on the 31st, which is almost in 6 hours, and it'd be at noon in London! I'm reading as well---god, I have to study! This is the coolest and most obscure theory I've found-it's really clever actually! Thanks so much for all the effort you've put into the group! 1,000 members deserved, here's to 1,000 more! Oh, that's wonderful news! I'm so glad for you! You put so much heart into this group so it's no wonder that you've got so many members who share your likes and dislikes! Keep up the good work and enjoy your winter! I'm proud of you. P.S. Why not try a group project instead of a contest? It could be fun!!! Wait--do you have any ideas for that?? It'd be amazing, actually! Haha, I'm not enjoying winter, precisely. I hate extreme temperatures! Hmm, ideas, ideas... You can do something of a magazine for Ron/Hermioneness. Have someone edit all of the fanfiction and pictures when it's done. You can also try a 100 theme challenge for everyone to partake in. If not, you can also round everyone up to make a big collage/montage of RHr and send it to J K Rowling! I'm sure she'd love it! Oh, great ideas!! Not the theme challenge, because not many people seem to be interested in that, but the others... I'll think about those! Ron/Hermione still going strong! !Hi everybody!! It's been an exciting week for us Potterheads all around: as you might know, the Quidditch World Cup is taking place in Argentina and Ginny Potter has been reporting for the Daily Prophet. On Tuesday, however, Ginny was joined by Rita Skeeter writing for the gossip column... and as it couldn't have been any other way, Rita was more interested in the arrival of Harry, Ron, Hermione, their families and the rest of Dumbledore's Army than in Quidditch. This gave us some insight (misled as it was, since we're talking about Skeeter) into the current lives of Ron and Hermione, amongst others. And today, both reporters were commenting the match on livestream--well, Ginny was, in any case, while Rita's attention was fixed on what happened in the VIP boxes. Mark your calendars for ALIE DAY!Hi everybody! I hope you all had a nice holiday time. As you know, I usually stick to our Announcements Board for general group announcements, but today I have some big news and a request that deserve a special place here. I'm sure most of you know Whisperwings, Alie; an amazing artist with a huge heart. Those who have been members of the group for longer may even remember she was a Wizengamot Member for a while, or have seen her name amongst the prize donations for some of our contests (maybe you even were the lucky recipient of one of her drawings!). She is 25, loves to draw, all things Disney and obviously Harry Potter, besides many other things, which you can also find at her personal Tumblr, wisteriaprincess. 'The brightest witch of her age' Contest Hello everyone! Sorry for taking so long in counting the votes, but it was a complicated week. So... first of all, thanks to the people who took part either with an entry, prize or voting. I will now announce the winners, and try to contact everyone shortly about their prizes. Congrats to both! Happy Holidays, everyone! September 19th marks the birthday of one of our favourite female characters of all times: Hermione Jean Granger-Weasley! 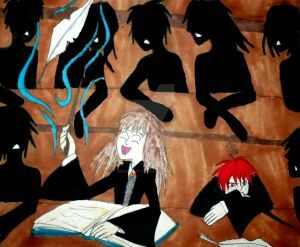 You might remember that, every year, I put up a selection of some of the best fanworks of all times featuring Hermione. This year we're going to try something different! 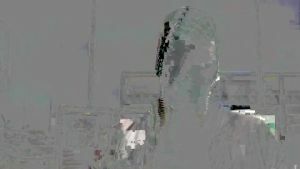 This Is Your Song Contest [Winners] All right, winners have been chosen! Congratulations to everyone who entered, and thanks to all the members who voted as well! "Ah, music. A magic far beyond all we do here!" We asked you, you voted; by popular demand, the theme for our new contest is something I've wanted to do for a long time: music! Pick a song that you relate Ron and Hermione to in some way and create something with it. Valentine's Day Challenge 2013 + FeatureHappy Valentine's Day to all our lovely members!!! 24 Days of Ron and Hermione! [Part 2]Welcome to the 24 Days of Ron and Hermione!! This will be a crazy blog entry filled every day from now to the 24th of December with something new and fun to get us through the holidays! I apologize in advance for delays, randomness, mistakes and/or lack of originality, but I'll be doing my best and I hope we can have fun!! Be sure to check out this journal so we can make it popular! Here's a merry feature for you all!! 24 Days of Ron and Hermione! [Part 1]Welcome to the 24 Days of Ron and Hermione!! Holiday Traditions Contest (CANCELLED) So... I've extended the deadline, and it's now February and we still didn't get any entries for the contest (seriously, not one). Therefore, I'm sad to announce that the Holiday Traditions Contest is cancelled. Maybe it wasn't an easy theme, or we were all just too busy It's a shame, but it's time to move on! If you managed to do something for the contest, please submit it to the "Ron and Hermione" folder, we'll be happy to see it!! Everlasting icicles had been attached to the banisters of the marble staircase; the usual twelve Christmas trees in the Great Hall were bedecked with everything from luminous holly berries to real, hooting, golden owls, and the suits of armor had all been bewitched to sing carols whenever anyone passed them. Today we are exactly one month away from Christmas Day... that kind of deserves a contest, right? You asked, you got it; I really hope you'll like this one! First of all, I want to thank everyone who entered, voted and donated prizes, and I'm really happy with the responses to the contest we've got SO happy you enjoyed the theme as much as I did! "I love the simplicity of this work, it looks like real illustration from a children's book and I really like the idea with house elves." "It's so original and a twist to the original fairytale!" "I love the minimalist style." "This is really dramatic and I like the rough painted look. And the angle is very nicely done as well." I know that many deviants have had a rough past year. I know I have. For some, it was the economy, for some changes in their families and loved ones, and I know for some it has even been on deviantART. We have all had struggles, but this time of year, whether you celebrate Thanksgiving or not, is as good a time as any to thank people for what we DO have. In this world of little, we all have something we hold dear to our hearts. Now is the time to say thanks. Camera  it needs to be capable of long exposure to capture the best of night time photography. Bulb Settings are very important to enable you to hold the shutter open for a long time. Lenses  Wide angle, telephoto  a range is best if you have access to it. Wide angle lens are fantastic for capturing those motorway shots from bridges of long distance traffic light trails. Telephoto lens are more useful for captures of the moon and other details. I don't want to do that, entirely. So before we even start, I want to show you this. That, my friends, is the Chat (and forum) FAQ section. It covers most of the tips and tricks I'll cover in a bit less detail here, and if you're ever curious about something, don't hesitate to look there! Either that, or pop into :#help: and a Community Volunteer or one of the awesome Community Helpers will be happy to lend a hand! Welcome to the 10th in the series of The F Word. Recently I asked my watchers in a poll about their one favourite work by an artist in deviantART, with a reason as to why they chose it, even if it wasn't mandatory. I also have a few more wonderful works to feature as well along with some other information around dA including contests! "The image is soooo sweet I love their fun and full of love emotions and the wackiness of the image truly magical and lovely! " "I think this is an absolutely brilliant concept, with a very cute and detailed execution. " Where is the Devious Love? Volume VWhere is the Devious Love? I wanted to put together a series of articles that focus on the opposite of drAma, instead focusing on positives. Here is a collection of messages I have gathered from members of the community, that highlight positive moments, be they success stories, kind words or general messages of encouragement for those who work hard. "i suggest FyreBurnsStrong96 for the next volume fo where is the devious love? Six Word Story Contest - 7 3Mo.Subs to be won!A type of Flash Fiction, six word stories are (very) short stories with an exact word count: six words. SixWordStories is the place where, alongside quality, quantity really does matter. Though these stories are so brief in length, they can be as profound, if not more, than the prose and poetry you see and read every day, partly because six word stories can tell us so much and yet contain so little. So getting to the point of this article, we are kickstarting this year with a six word story contest! We have some awesome prizes and hopefully enough freedom for you to enjoy yourselves too! Please support the contest and the article so that more can join in on the fun! deviantART - Let's Extend the Spirit Day 2011! Those of you who have been here for more than a year or heard from others, may have seen deviantART going purple on October 20th, 2010 which marks the Spirit Day - an event to honor teens who have lost their lives to anti-LGBT bullying as well as to show support for them and others around the world. However, deviantART had extended it to encompass all sorts of bullying, since bullying of all sorts happen to everyone, everywhere whether we notice it or not regardless of age, sexual orientation, gender, race, religion, profession, physical and/or mental ability, etc. Here was last year's message to deviantART community by spyed in the news article, deviantART Honors Spirit Day.